Dan F. from the executive office shows us how to spice up the winter at Bank of America Winter Village Holiday Shops. But you'll have to hurry--the Shops' last day of business is January 4! Imagine we could bring someone from 15th century Europe to see the holiday shops. She would wonder at electric lightbulbs, the shiny metallic rectangles called cell phones, and, of course, New Yorkers’ fashion. If I had to guess, though, she would be most surprised by Spice Professors (kiosk D6). Throughout the majority of human history, spices were the ultimate extravagance. The ancient Egyptians imported cinnamon and cassia from India to embalm their cherished dead, and in the Middle Ages, exotic spices were reserved for royalty. By the 16th century, the Portuguese, British and Dutch had all fought wars over control of the spice trade. Spice Professors sells a variety of pre-blended spice mixtures that will brighten your winter. 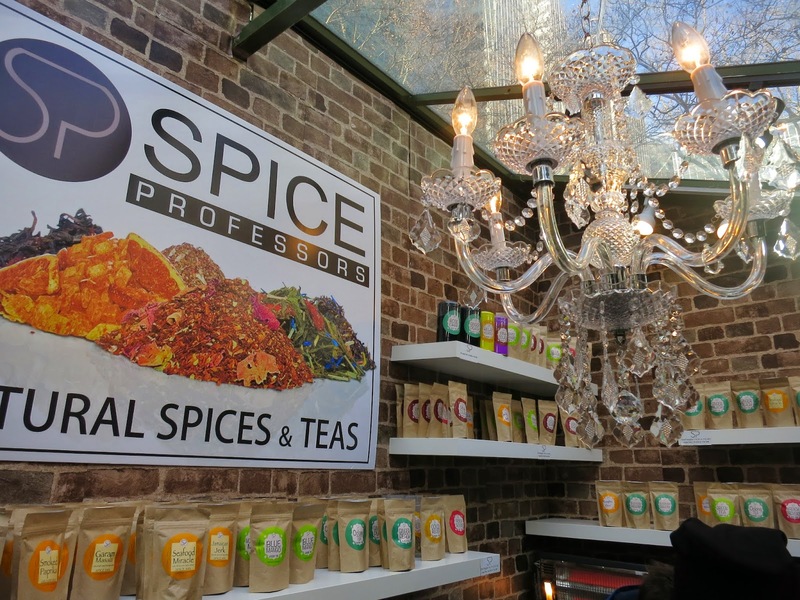 Fast forward to the present: Spice Professors offers countless teas and spices from throughout the world—all at very affordable prices. 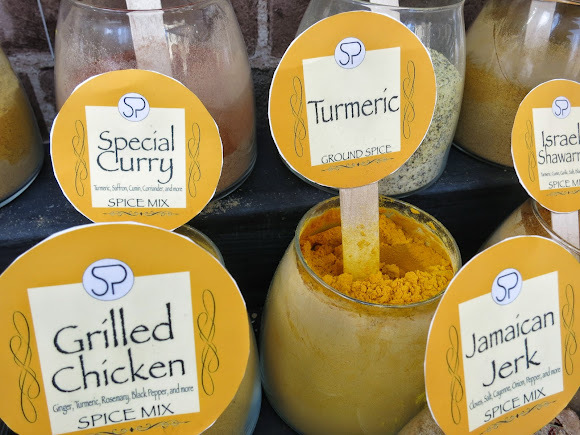 There is everything from staples like smoked paprika and black pepper to Ras El Hanout, a special combination of spices that serves as the foundation for much of North African cuisine. Then there are the mixes that only Spice Professors could dream up: my favorite is a blend called “Greek Salad”. The spices are displayed loose, as if in a spice market. Being able to smell them is a huge boost when trying to pick out the perfect one! Spice Professors also sells a variety of loose leaf tea. 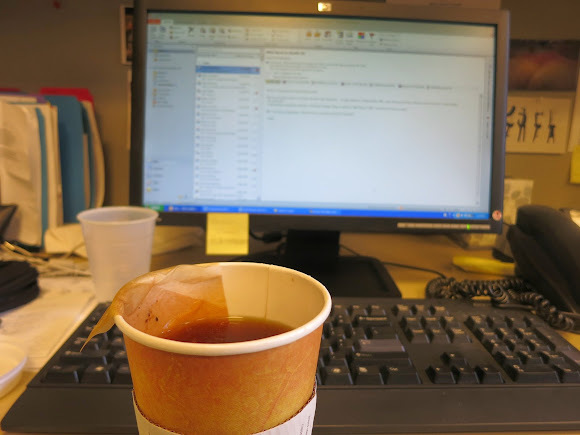 On cold days like today, I chose to enjoy a hot cup of my favorite black tea: Chai Masala. As tea aficionados know, loose leaf tea makes a difference and the Spice Professors' Chai is better than any tea bag Chai I’ve tasted. Drinking it back at my desk, it’s a taste of true luxury. A simple cup of tea can transports me from my desk to a much more exotic locale.